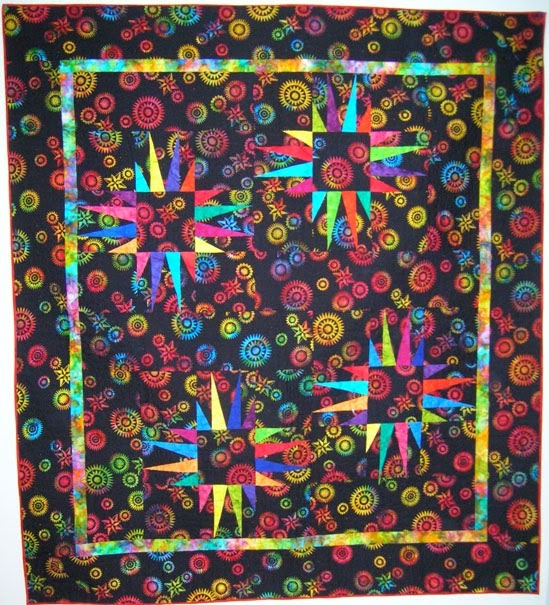 I have looked for this quilt off and on for years. It captured my heart over 3 decades ago. 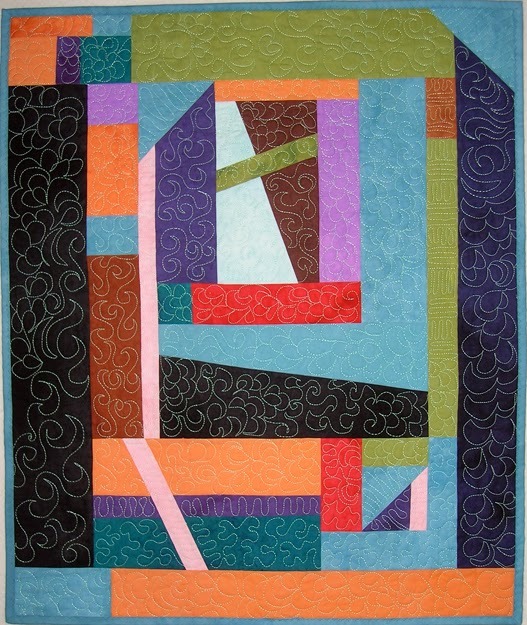 I found it in Metropolitan Home Magazine, January 1982 on a page titled: Design Portfolio, Moderne Quilts. The caption said: "Flower Pots and Stars, circa 1920. 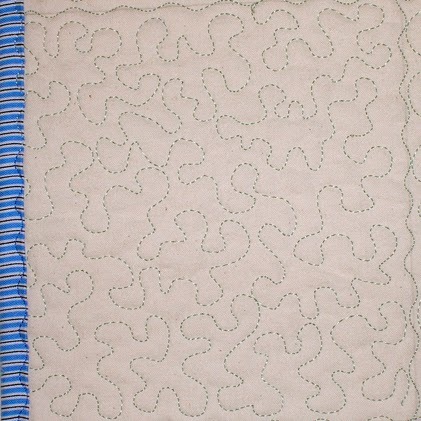 Pieced in carnival pastels, this original quilt has the verve of early Disney animation." No kidding! The quilt was courtesy of American Hurrah of New York, which is no longer in business. 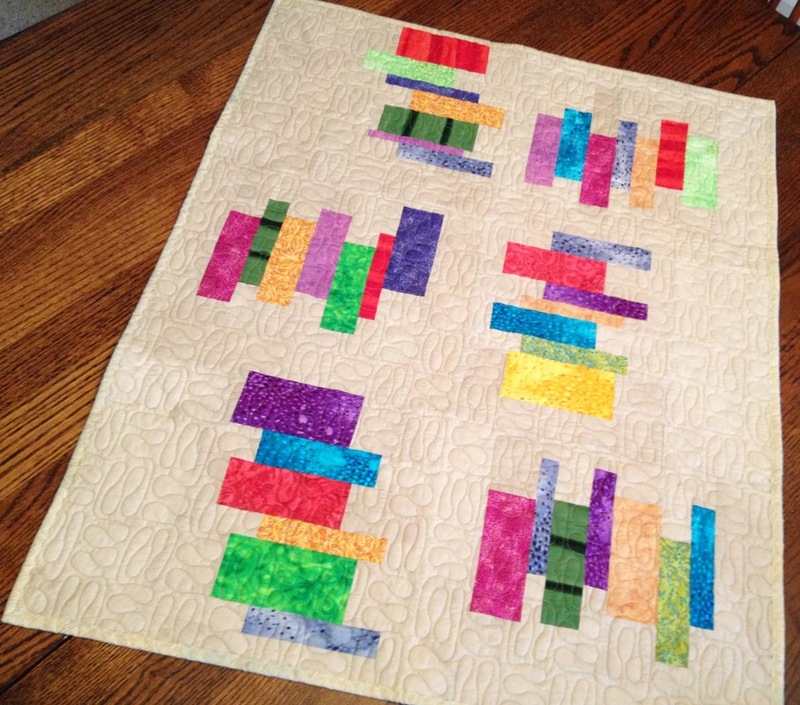 I did contact a few quilt historians to see if they remember the quilt, but alas, nothing. 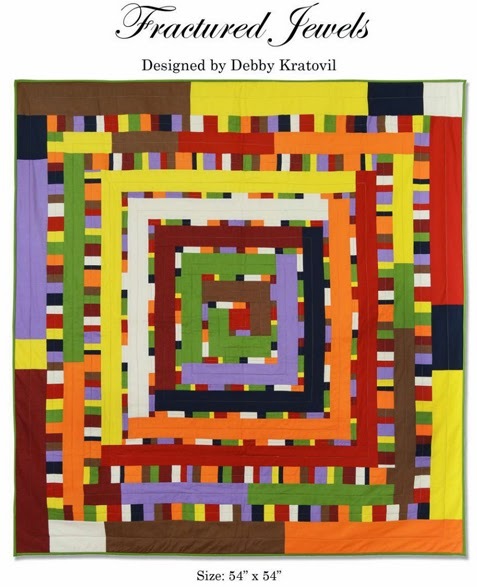 I called it Metropolitan Home Star and used it as the basis of a quilt featured on the cover of my second book, Supersize 'Em Quilts. I wanted to call it Metropolitan Home Star, but my publisher nixed that idea. I just called it "That Spikey Thing . . .
Those are 21" blocks so I could paper piece the spikes on a regular piece of paper (7" printable section). You only paper piece 4 units per 21" block. The other 5 squares can feature a nice, large scale print. 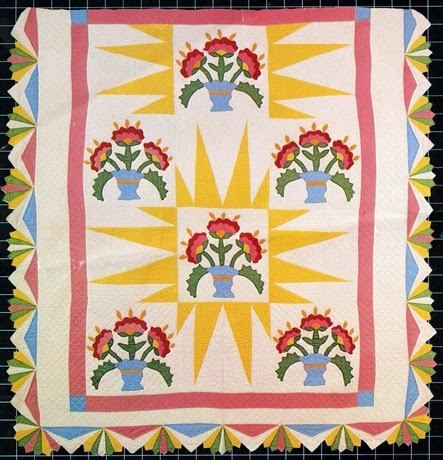 Lastly, I found a picture of a quilt featured in an April 1996 issue of Quilter's Newsletter that reproduced Flower Pots and Stars, eliminating the top row with the single pot and two sets of spikes. It was made by Miriam Allen and she called it Joy of Spring. Why have I posted about this today? 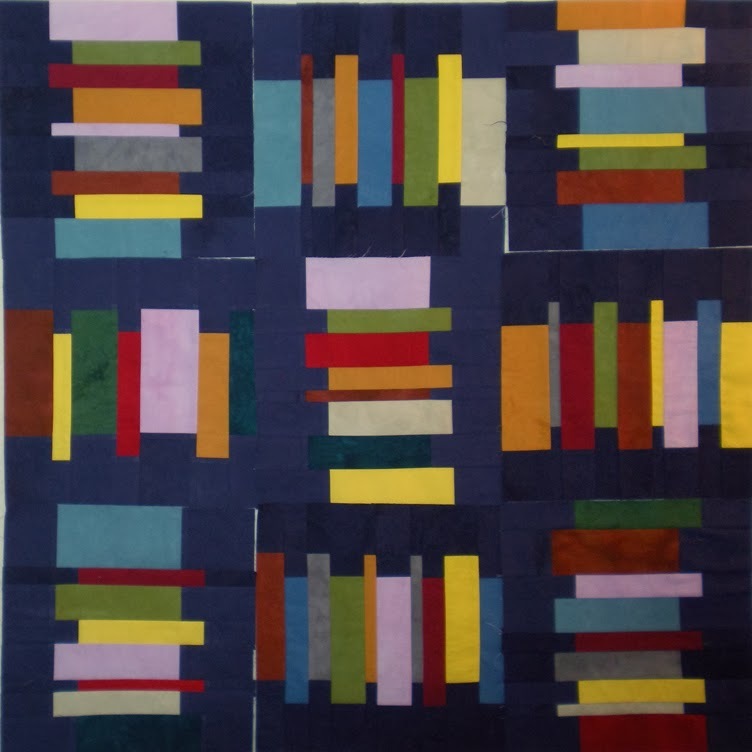 Well, I was cruising the Pinterest boards and came upon the Antique and Vintage Quilts board of Darra Williamson (a professional quilter, famous in her own right for a few decades). It just took my breath away. 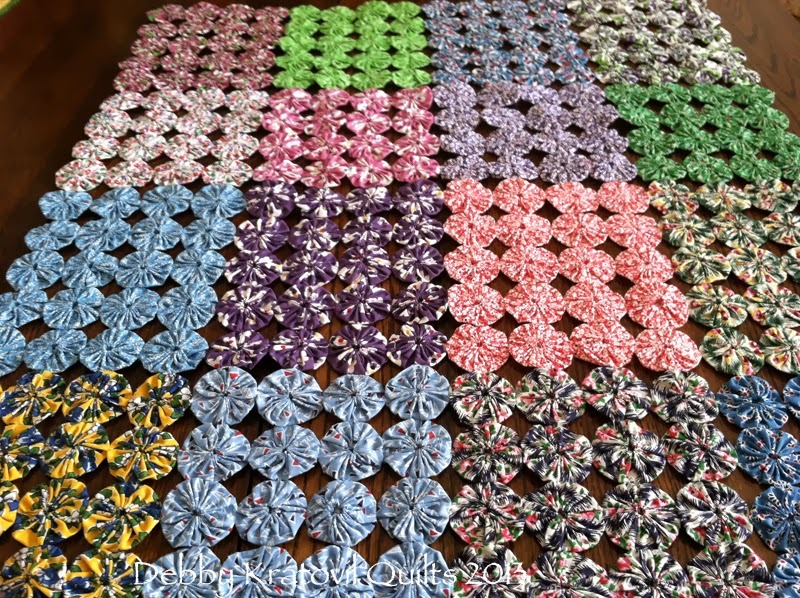 She has over 750 pins of the most glorious quilts and you can bet where I'm spending my Pinterest time in the next few weeks! 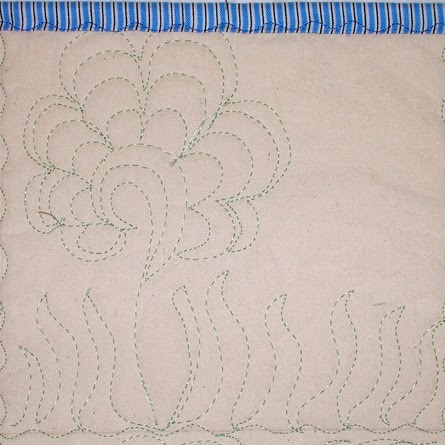 I think that Flower Pots and Stars quilt is enjoying living in a private home somewhere. She will surface one day and capture more hearts with her exuberant colors and come-look-at-me attitude! Until then, if you happen to see her, will you tell her I'm looking for her? 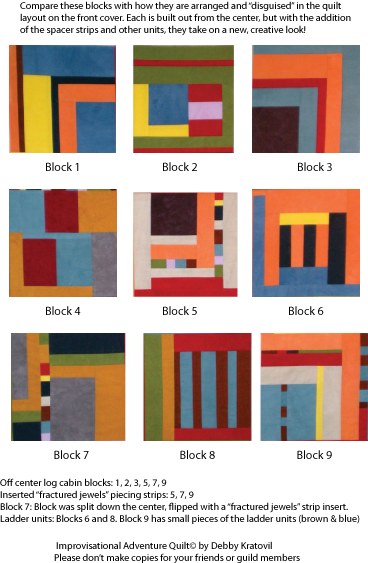 I partnered with Windham Fabrics a few years ago to "pattern" 8 of the Gee's Bend quilts (with permission, OF COURSE, from the original quiltmakers). From that I created a class called - are you ready? - No Sneaky Peeky. Each student got a brown lunch bag, stapled shut, filled with strips, strings and various pieces of these Gee's Bend hand dyed batiks. From there we had to put our hands in, pull out a few strips and ONLY sew with what we got without peeking. Crazy, huh? But a lot of fun and everyone's quilt was so different. I created a class whereby the students got 12 fat eighths (9" x 22") of different Gee's Bend solids. 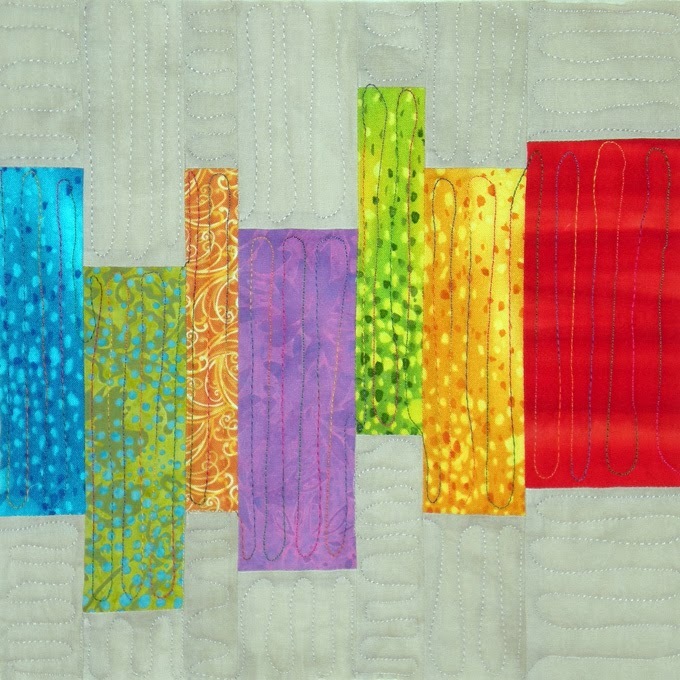 I walked them through making simple log cabin blocks, variations of log cabins by cutting them up or adding extra strips and we got my Improvisational Adventure Quilt (appearing in the Winter 2014 issue of Modern Patchwork) . . . I disguised the blocks with sashing and strips, etc. Fun! What would they look like with a dark navy background with different piecing? Navy background. Not crazy about it, but I have to audition fabrics before I know what's going to work. I have more quilts to share at another time. 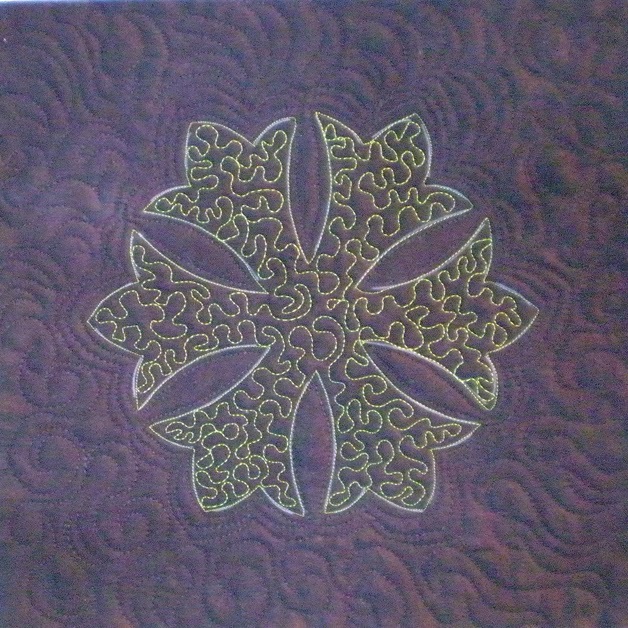 Meanwhile, I hope you enjoyed seeing some of my quilts from past classes. Today is the zillionth anniversary of the birthday of George Washington. Not really, but you get what I mean. George was a man of integrity and never lost heart as he led our fledgling country to independence back in the 1700s. 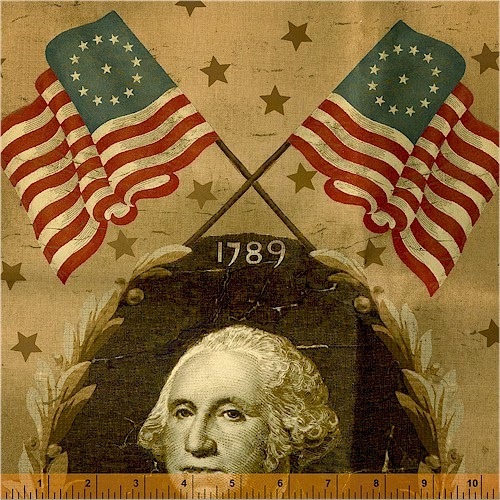 I was listening to NPR this week and the announcer said on "President's Day" - February 17 - that "today was the birthday of George Washington . . .". Dude - just because we celebrate both Lincoln's (Feb. 12) and Washington's (Feb. 22) birthday on the same day - to conserve holiday time off - doesn't mean that it's literally the ACTUAL day. And this guy was not young, so he had to remember when we had both days off from school. I remember when I was in school (a hundred years ago) that we actually celebrated BOTH days as holidays. Sigh. We've lost sight of how important each man was to the founding and birth pangs of our new country. Those who don't live here - just overlook my tribute. I LOVE AMERICA and wouldn't want to live (for an extended period of time) anywhere else. America: the land of the FREE and the home of the BRAVE. Happy Birthday, George. 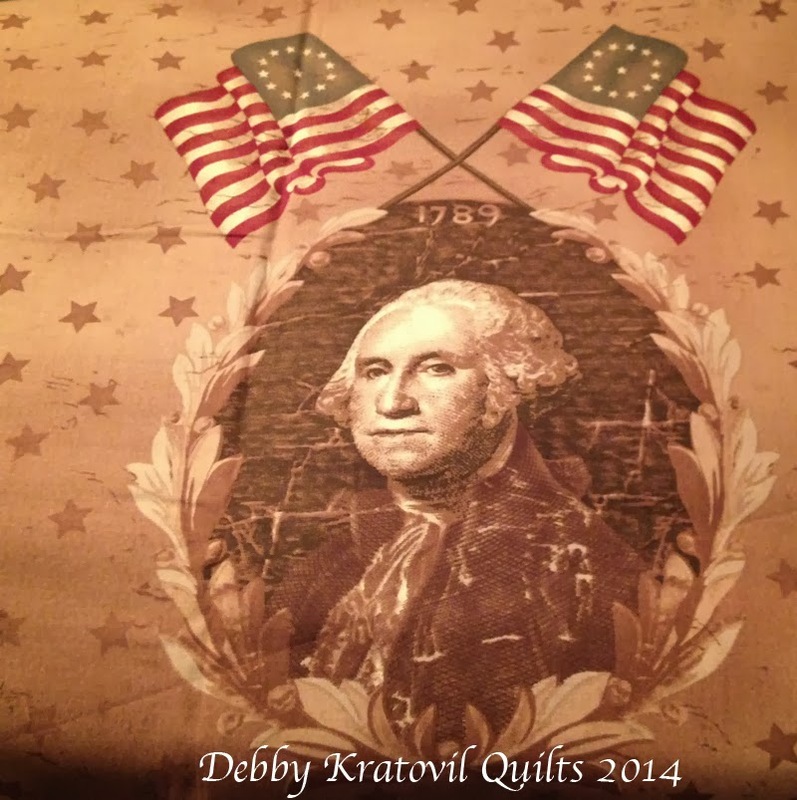 And thanks to Windham Fabrics for that awesome fabric released several years ago (Old Glory). Gotta love it and find something awesome to do with it. Maybe give it to my daughter who is a high school teacher? Hmmm . . .
How about a giveaway? Only to USA residents. Just leave a comment and I'll have a giveaway of 1 yard of this fabric (this guy's head is HUGE on this fabric). Tell me what you'd do with it!!! Contest over Monday, February 24 at midnight. Staggered Stars Quilt - 64" x 64"
Just in time for Mardi Gras and all the purple and gold! This quilt reminds me of New Orleans and the raucous celebrations that take place there for Laissez Les Bons Temps Rouler. (Don't ask me what that means; I'm only quoting from my friend Jeannine, who has a Mardi Gras party every year about this time). 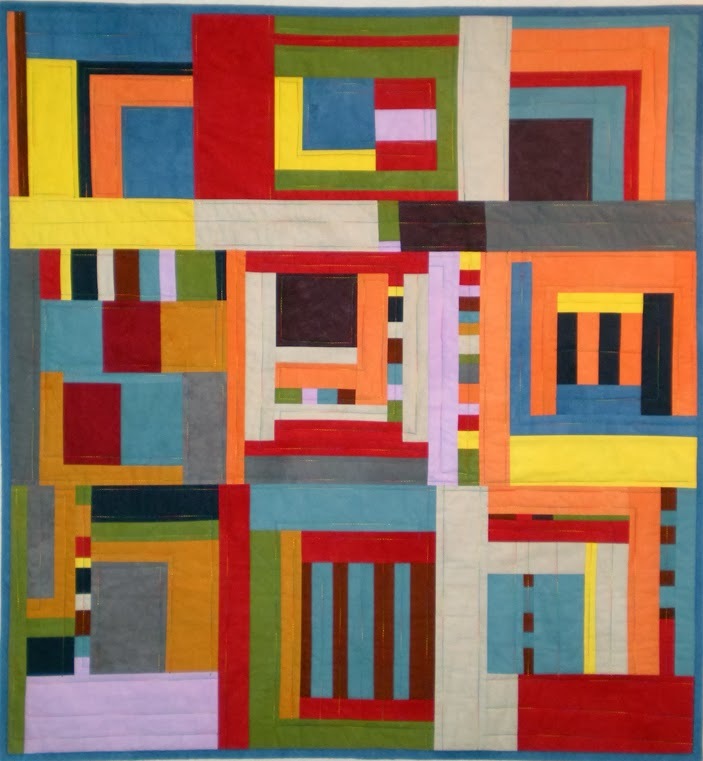 There is a story here about this quilt and how it made its way to New Orleans . . . 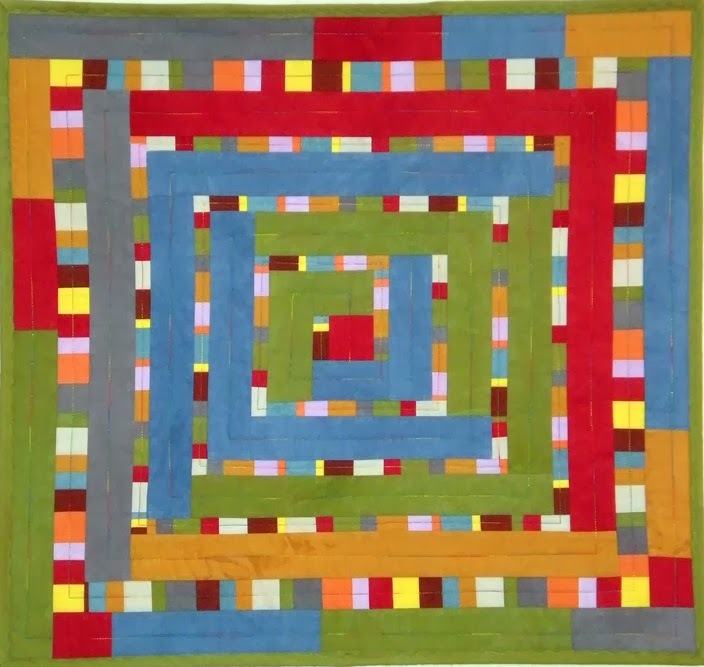 I made this quilt over 10 years ago and it appeared in Quilt Magazine while I was an editor. It was simple to make - yes - even that center star. It's just an illusion of weaving, all done with color placement. Simple squares and triangles easily rotary cut - and very large patches - make for a fun block to sew. And who says that rows of stars have to line up like cookie cutter shapes? Stagger your blocks for visual interest. 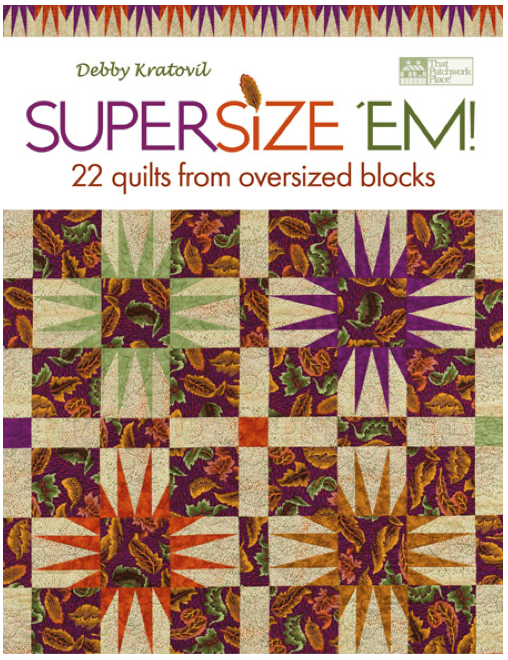 There are 3 sizes of blocks: 24" center star (wow! ), 12" stars surrounding the center, and 6" stars for the four corner sashes. Do you remember our Hurricane Katrina back in the early 2000's? I was living in Atlanta then and heard about a family of four who were staying temporarily with a neighbor because their home was literally underwater outside of New Orleans. They had escaped to Atlanta to find shelter and my neighbor took them in for a few weeks. A little voice in my head (I like to think it was God) said that I should gather up a quilt for each one and this one was included. Why? It was for the dad because gold and purple are popular colors down in that part of Louisiana. I gave the mom a quilt of houses - with the promise that she will have a home again soon, I believed. The two girls got girlie quilts (I can't even remember which ones). 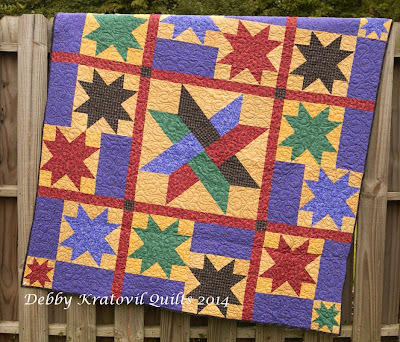 You can have the free pattern for this Staggered Stars Quilt just by clicking the link. I hope you enjoy it and whoever you gift it to (even yourself), smiles are the result. 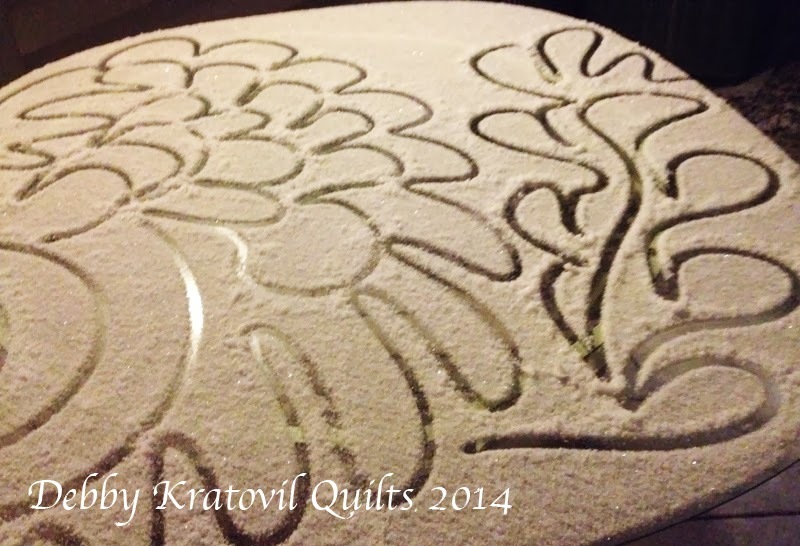 Snow Quilting - the night before we got 12" of the real stuff! 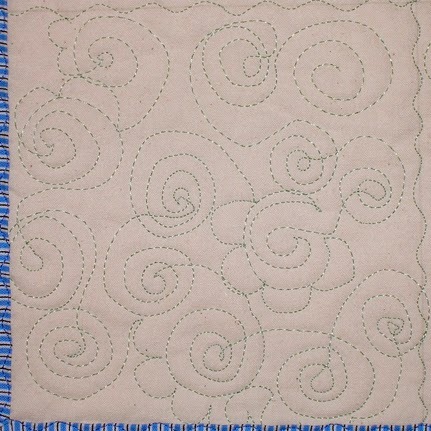 No, I'm not teaching a class on Snow Quilting - just free motion quilting. I thought I'd see if it would work on a blank slate of snow on my glass outdoor table. What do you think? I teach for the Original Sewing and Quilt Expo. I love being a part of it! They treat me very well and I teach my heart out. I love my students, I get to share whatever quilts I've been making for samples and it helps me pay the rent. A good arrangement, I think. 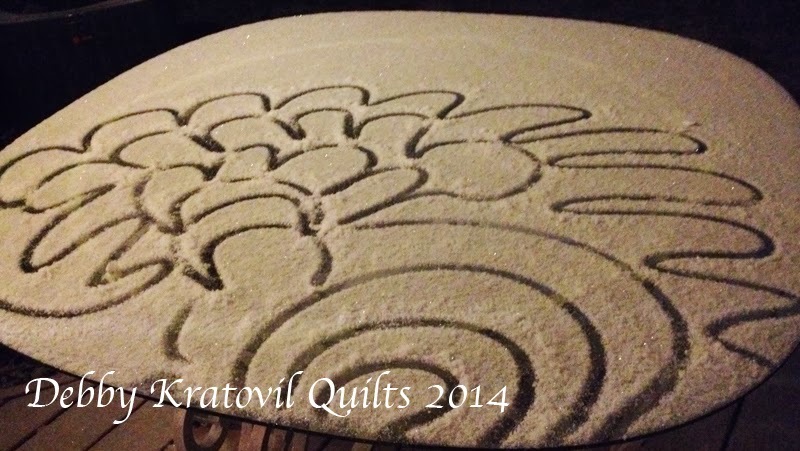 So, what does Snow Quilting have to do with it? After some intro, we concentrate on getting a good curve. Remember, the feed dogs are not engaged. Someone once said that it's "Dancing with the Feed Dogs Down." I like that, don't you? How about some spirals? And yes - we can cross lines. Come get me, Quilt Police! Pebbles. I have a love-hate relationship with these things. Very intense! And we talk about stencils and thread color and marking tools . . .
You can see more samples at the Sewing Expo site. And you can also win some free class tickets and show admission by visiting their BLOG. More on other classes in a few days. A visit to my daughter Audrey's apartment this week brought me up close with a few of her vintage items. She loves old things and hunts them out in thrift shops and junk stores. This school box above is quite graphic, decorated with a paper coating with the traditional Baby Blocks design. I don't think the angle is 60 degrees, but it still is a Baby Blocks motif. I bought a bag of these yo yo rectangle units from a guild show sale. There were oodles of them in a brown paper sack and I grabbed them up before they even went on sale. 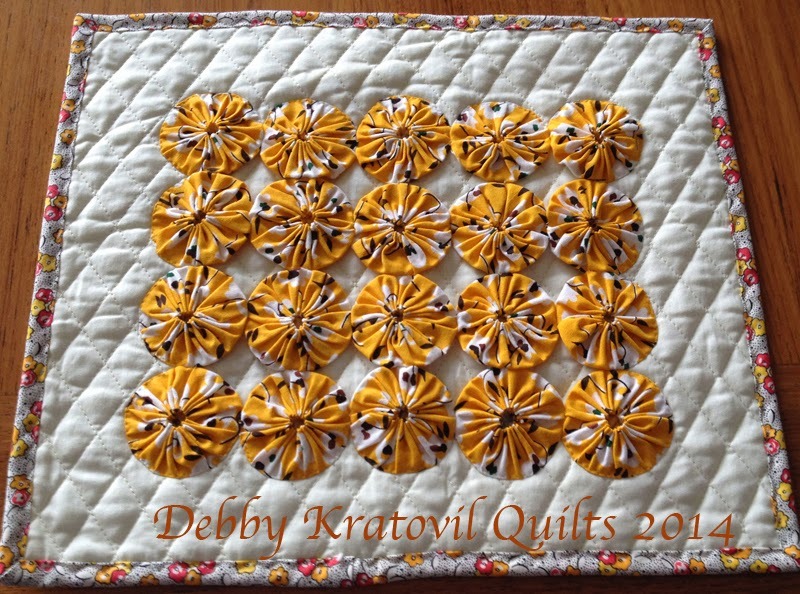 I turned one set of 20 into a hot pad using pre-quilted cream fabric. 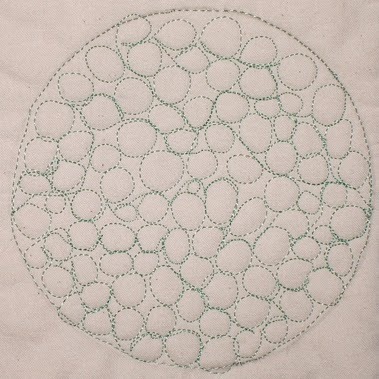 I used invisible monofilament thread to quick stitch them onto the background (oh, yes I did!). Go ahead; call the QUILT POLICE. I dare you! A friend in Atlanta gave me a brown paper bag full of these Cathedral Window sections. Can you believe it? Her daughter in law's mother was planning on making a KING SIZE quilt out of these sections. Can you say ETERNITY? That's how long it would take. Well, she slipped into eternity before she could finish (I was right) and I gave one to my daughter to use as a decorative table runner. 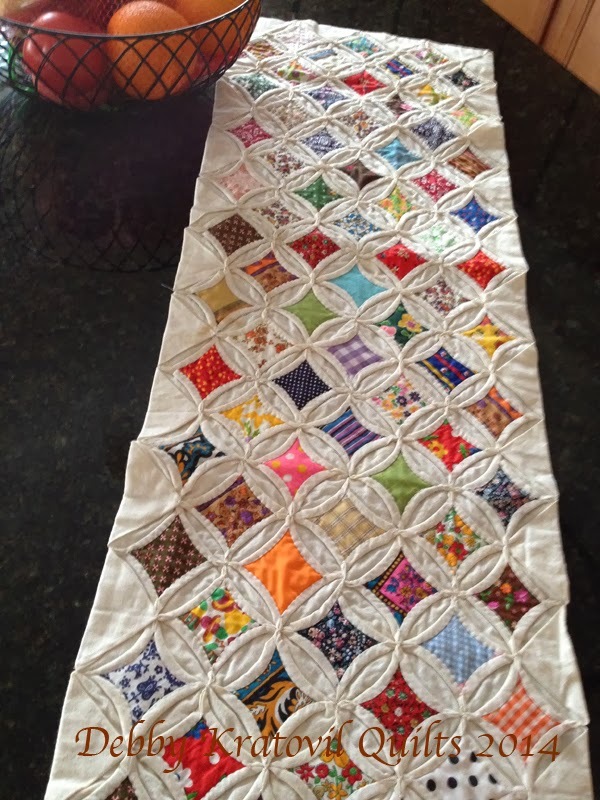 I used some of the small sections and made a crib sized quilt for my friend to give to her daughter in law, in memory of her mother. I kept one and it is pinned above my double windows in my sewing room. Easy valance, that's for sure. Here are several of those sections stitched together. Yes, I used monofilament thread. But they're done and are beautiful on Audrey's table. 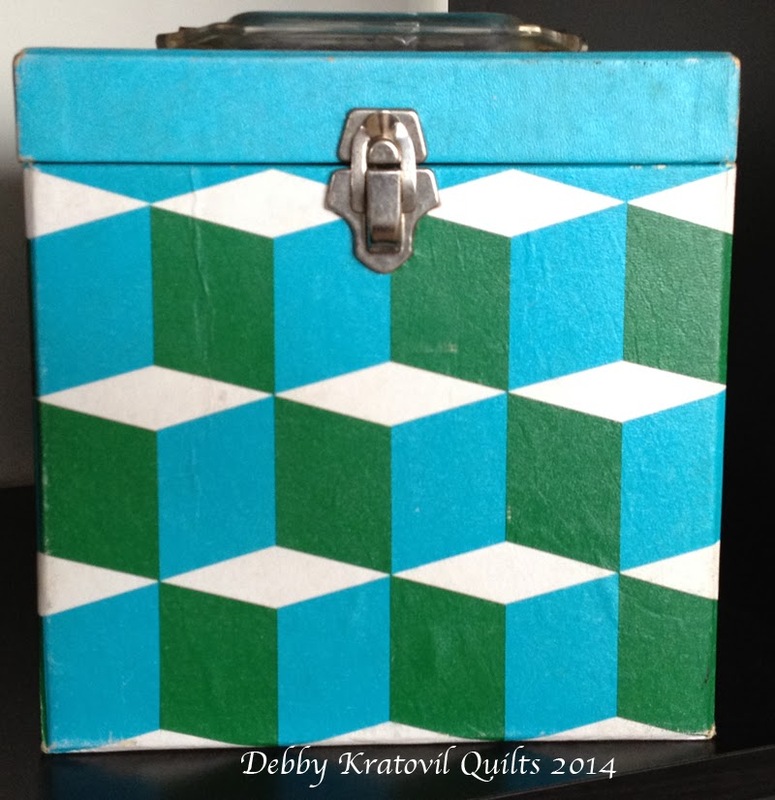 Hope you enjoyed my vintage quilt items. Now, excuse me as I dash down to the basement to search for more sets of those yo-yos.